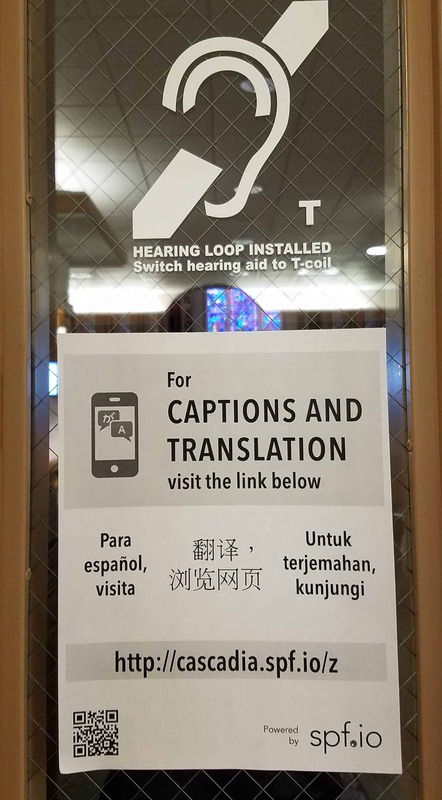 Multilingual signage was posted at the event, explaining how to get captions and translations. 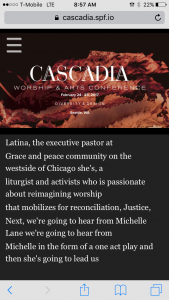 On February 25, 2017, over 300 people in the Seattle area came together and attended the Cascadia Worship & the Arts conference, exploring diversity, design, and multiethnic worship. When we heard about the topic, we were excited to sponsor spf.io for the conference so that attendees could get real-time captions and translations on their smartphones! In total, we served four languages: English, Spanish, Mandarin, and Indonesian. Normally, for a one-day conference it could cost around $5,000 to hire interpreters to serve simultaneous translation for three languages ($100/hour/interpreter, needing at least two interpreters per language due to the length of time). But with spf.io, providing automatic translation came to a fraction of the cost. Spf.io makes event translation possible for events where professional translation is out of budget. Although automatic translation may not match professional human interpretation yet, it is good enough to communicate across languages and enables a diverse audience to be together. While the conference was conducted mostly in English, we wanted to give everyone an idea of what’s possible with the technology. So when Chris announced spf.io from the podium, he spoke in Indonesian and we displayed the subtitles of what he was saying in English on the screen for all to see. The audience was amazed! Watch the video below to see it for yourself. One major gain with spf.io is that you not only offer translation into other languages, but you also get captioning for the spoken language. This is a step toward accessibility that is helpful for not only the hard-of-hearing, but everyone. For example, there was a Q&A at one point in the conference but audience members were not speaking into microphones. In a large sanctuary, it was extremely difficult for the entire audience to hear and understand what was being said. Since we were monitoring spf.io in the A/V booth, we were able to jump in and manually type what we heard and displayed the captions on the screen. After the conference, multiple attendees told us how they appreciated the captions since they weren’t able to hear what was being spoken. Providing captions enabled attendees to get even more out of the conference than they would have otherwise. 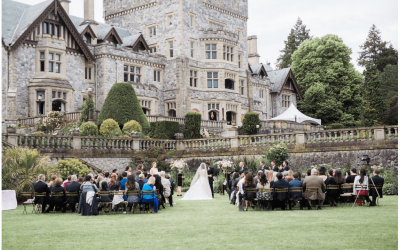 It enabled everyone to be a part of the discussion–those who suffer from hearing loss, those who missed what was said, and those who were on the opposite side of the sanctuary. We started our company with the belief that God’s kingdom includes people from every language. While it may not have been practical to serve many languages at once in the past (due to cost or manpower), now it’s possible and easier than ever before to do so. 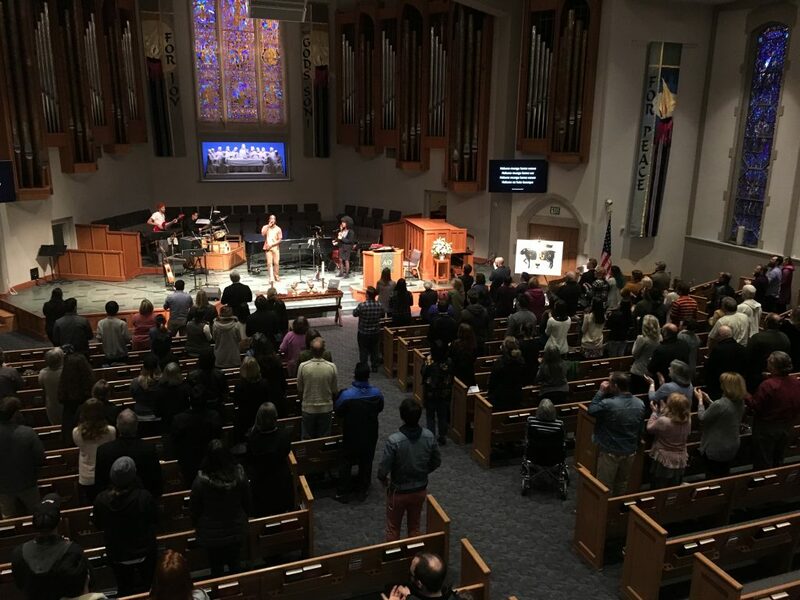 Our prayer was that attendees would experience a foretaste of God’s kingdom through our technology, and it was a privilege to be a part of a conference dedicated to multiethnic worship and seeing God’s kingdom lived out in real life. During and after the conference, attendees mentioned how much they appreciated the captions and translation being provided. 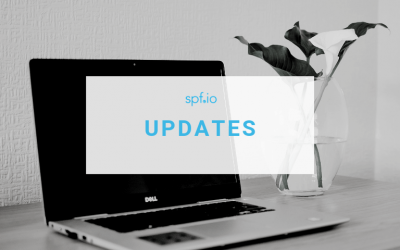 By the end of the day, over 20 percent of the audience had tuned in to spf.io on their own devices throughout the duration of the conference. Where before language was a separator of people, the experience at this conference showed that not only can a multilingual audience be in the room together, but every person can be actively participating in their own language. Does this multilingual vision of God’s church sound like something your church is pursuing? 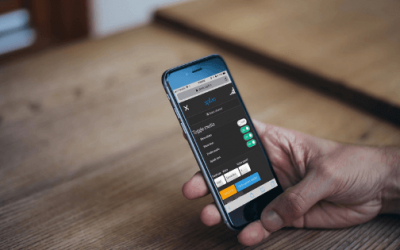 Contact us to see how spf.io can help your church scale to multiple languages!